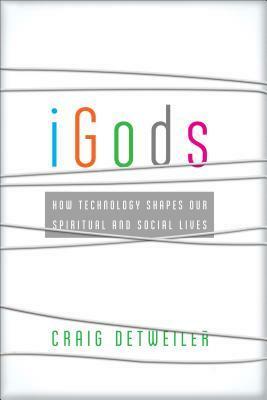 Craig Detweiler, iGods: How Technology shapes our Spiritual and Social Lives (Grand Rapids, MI: Brazos Press, 2013), 246 pages. Endnotes and an index. This is an enlightening book. A substantial part of the book is an overview of the rise of computer giants in the internet age. But as the history of these organizations (Apple, Amazon, Google, Facebook and a few others) are discussed, the author delves into the social and theological implications of this shift in technology. Detweiler does not condemn the rapid advance in technology nor does he just focus on the negative side of the internet. He celebrates the positive impact of much of this technology and how it helps us handle the vast amount of information available. He reminds us that God was the first technological genius when, at creation, he brought order into the chaos (something the Google does with every search). 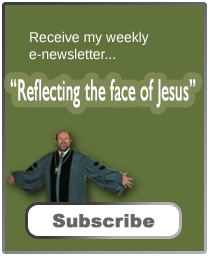 Using a Greek word study of tekton (the word translated as carpenter in the New Testament), Detweiler reminds us that Jesus was essentially involved in the technology of his age. We’re not to be afraid of technology. Yet, at the same time, he feels a need to put the “iGods” in their proper place. He reminds his readers of their purpose and limitations. Although we have a tendency to place “blind trust” in technology, we must remember that our trust and faith belong to another realm. Although some will find this book deep, it is well-written and should be read by anyone wanting to understand the implications of this new technological world. Detweiler quotes theologians, sociologists, historians, and philosophers. However, the reading is not easy. I am sure many, especially those who may not be comfortable in the many disciplines from which he draws, may find the way Detweiler shifts from one paragraph to the next from a discussion of technology to theological to issues of faith or social importance a bit confusing. Thanks for this very thoughtful and insightful review, Jeff. You really captured the heart of the book in beautiful ways. Much appreciation!